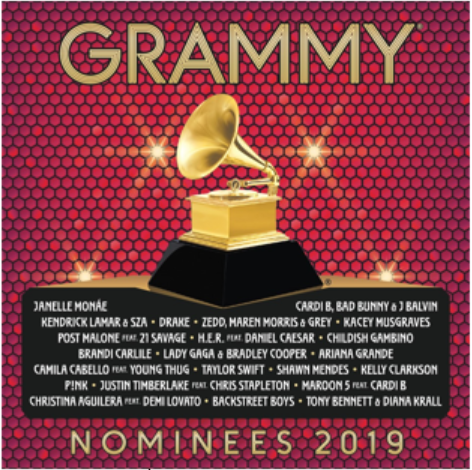 The Recording Academy's GRAMMY Recordings and Republic Records announce the 2019 GRAMMY Nominees album. A portion of album proceeds will benefit the year-round work of the GRAMMY Museum and MusiCares—two charitable organizations founded by the Recording Academy that focus on music education programs and critical assistance for music people in need. 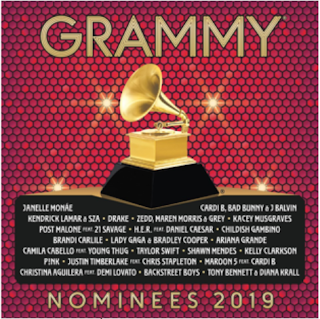 The 61st Annual GRAMMY Awards telecast will be held on Sunday, Feb. 10 at STAPLES Center in Los Angeles, and will be broadcast live on the CBS Television Network at 8 p.m. ET/5 p.m. PT.